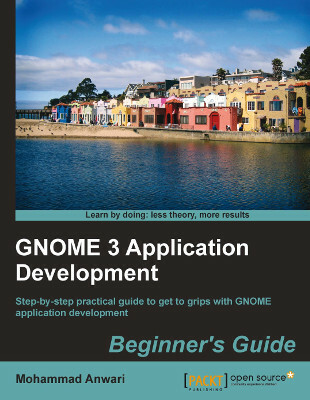 The folk at Packt Publishing sent me an e-copy of GNOME 3 Application Development Beginners Guide the other day. Since I find myself with a couple of weeks off (more on that another time) I’m going to be reading it and writing a review. I had to put together a small web app the other day, using SQLAlchemy and Flask. Because I hate writing code multiple times, when I can do things using a better way, I wanted to be able to serialise SQLAlchemy ORM objects straight to JSON. It turns out to be relatively simple to extend SQLAlchemy’s declarative base class to add additional methods (we can also use this as an excuse to implement a general __repr__(). Add some default properties and methods to the SQLAlchemy declarative base. You can obviously replace any of the methods in your subclass, if you don’t want to serialise the whole thing. Bonus points for anyone who wants to extend this to serialise one-to-many relationships. And what about calling the tojson() method? That’s easy, we can just provide our own JSONEncoder. us to JSONify objects coming from the ORM. Also handles dates and datetimes. Cutting edge Flask provides a way to replace the default JSON encoder, but the version I got out of pip does not. This is relatively easy to work around though by replacing jsonify with our own version. in my version of Flask. If you do have a newer Flask, where you don’t have to replace jsonify, you can also inherit from Flask’s JSONEncoder, which already handles things like datetimes for you.